"Great software to get me ready for the Military Competence Exam - Airplane. Excellent resources made readily available to explain questions and foster deeper understanding and general knowledge of regulations. I passed the exam within 15 minutes and scored 100%. The FAA Operations Inspector who handled my paperwork said "Geez, 100%? Maybe you put in too much time on this one." Nope, just the right amount, thank you! Completely worthwhile product." "Your software is awesome! I studied the questions, took several practice tests (about 10 hours of work), and aced the MCA exam. I walked out of the testing room in 10 minutes and the proctor couldn't believe it - she was really shocked when I scored 100%. I didn't use anything but your software (and its links to FAA pubs) to prep for this exam. That was the best money I've spent in a while! I'll be downloading more of your excellent products as I work on getting my tickets. Keep up the great work." "I just passed my MCI test. Your test questions were very good and I learned a lot. Great product!" "I'm currently an Air Force KC135R pilot. Unfortunately I was unable to obtain my ratings out of SUPT unlike my classmates, however Dauntless provided me an excellent alternative to wasting a day and $200. The software is great and well worth the price! It prepared me for the MCA and all I studied was once a day for 25 minutes for 3 days and scored a 96% on my MCA. I took three 142 question tests each day (CATS mode) and by the third test I knew I was ready! I truly recommend this software for those military pilots who have yet to get their MCA!! Thanks Dauntless!!!" The above is just a small sample of the real, unsolicited feedback from our users click here for more). Our study system works. Military pilot? There are two ways of converting your military flying experience into an FAA pilot certificate via the Military Competence Airplane (MCA) or Military Competence Helicopter (MCH) written test. Show up, be bored out of your skull for most of a day while the instructor goes at everybody else's pace, not yours. Take the test, pass, have your civilian pilot's certificate soon after. Use the software at your own pace and at your own time to learn the actual questions that you are likely to see on your test. Many have learned the MCA/MCH test in under a few hours. Go take the test. All information that you will need to do so is in the software. The bottom line: both methods will yield the same results, but ours costs less, takes less total time, and can be done on your schedule at your location. Get the Software / App! Members of all branches of the US military have used our software to successfully prepare for their MCA/MCH tests. Type 1: FAA Commercial Pilot Certificate. You get this by showing proof of military flight experience and taking EITHER or both of the Military Competence Airplane (MCA) and/or Military Competence Helicopter (MCH) tests. If you take the former you'll get a commercial pilot certificate for airplanes, and the latter one for helicopters. Type 2: FAA Flight Instructor Certificate. You get an FAA Flight Instructor Certificate by taking the FAA Military Competence Instructor (MCI) test. It is our understanding that the exact Flight Instructor certificate / ratings depends on your actual military flight experience (for example, whether you get instrument, helicopter, multiengine, etc instructor privileges) but we welcome your feedback and clarifications. Our software can prepare you for both type 1 and type 2 tests. We offer the most cost effective way of preparing for these tests. Technically, the MCA and MCH tests are a subset of our regular FAA commercial pilot offering and the MCI tests is a modified subset of the Flight / Ground Instructor offering. We work full-time to try to make sure that we have the latest and greatest exact questions that will likely appear on your MCA/MCH/MCI written test. So, if you study from this software, you will likely do very well on this software. Of course, the FAA does occasionally change the questions and we are on top of this as much as anybody else, but we can no more guarantee that this this software will have exactly 100% of the questions than anybody else can. If somebody guarantees you "exact" questions, then they are exaggerating. If somebody "guarantees" you success on the MCA/MCH/MCI with their method, then all they are doing is subsidizing the failures with their higher fees. We'd rather leave it up to the motivated individual not to need to subsidize others in this way--that said, we believe that conscientious users of this software have a 100% pass rate at the time of this writing. Of course, and this almost goes without saying, in order for us to be able to be continuously on top of the tests as we are and update the software for future pilots, each user needs to pay his own fee for this software. The cost is very reasonable. Please resist any temptation to "share" the purchased version of this software with others. Any license purchases is a single-user license only. To use this software, click on "prepare for a written test", select MCA/MCH/MCI as appropriate, and then choose study areas to prepare on. The screen after that is a test mode options screen which gives you several ways to learn the questions--try a few combinations until you see what works for you. Using the software, most people can more or less learn the entire MCA/MCH question bank in a few hours (the MCI takes slightly longer). To check whether you're ready for the real thing, try running the software in 'Simulated MCA/MCH/MCI Test mode' 3-5 times. If you can score above 90% consistently (remember, the passing grade is 70%), you're set. We recommend then you immediately go to take your actual test at a testing center. This software is for US military pilots who have been on active flying status within the past 12 months and who want to get a civilian (FAA) airplane or helicopter pilot certificate. If you use this software and follow the steps below, you can get an FAA Commercial Pilot certificate + Instrument Rating based on you military flying experience without needing an additional flight test and without the waste of time and expense of one of those weekend courses that costs three or more times what this software does. That's right--just use this software on your own time and at your own pace and you will be set. Most people usually do this at their first duty station following Undergraduate Pilot Training (UPT). You may, however, take the written prior to leaving UPT, especially as the material will likely still be quite fresh in your head then. If you are a US military pilot who has NOT been on active flying status within the last 12 months, this program is for you too! But, you may have to take an FAA practical test ("checkride") in addition to taking the written test. See FAR 61.73 (below) for more details. To get your FAA Commercial Pilot Certificate with Instrument Rating, you will need to pass a written test - either the MCA or MCH (Military Competence Airplane/Helicopter). This is a multiple-choice test and this software will prepare you for it. Then, you need to go to a computerized testing center to take the exam (there is a listing of them elsewhere in the program). If you pass (score 70% or better) you will get a score report paper. Identification (bring plenty of this to be on the safe side). Federal Aviation Regulations - Section 61.73: Military pilots or former military pilots: Special rules. A type rating, if appropriate. A rated military pilot of an armed force of a foreign contracting State to the Convention on International Civil Aviation, assigned to pilot duties (other than flight training) with an armed force of the United States and holds, at the time of application, a current civil pilot license issued by that contracting State authorizing at least the privileges of the pilot certificate sought. Present documentation showing that the applicant was, before the beginning of the 12th calendar month before the month of application, a rated military pilot as prescribed by paragraph (b)(3)(i) or paragraph (b)(3)(ii) of this section. Having received an endorsement from an authorized instructor who certifies that the pilot is proficient to take the required practical test, and that endorsement is made within the 60-day period preceding the date of the practical test. Received authorization from a U.S. Armed Force to conduct IFR flights on Federal airways in that aircraft category and class for the instrument rating sought. Aircraft type rating. An aircraft type rating is issued only for aircraft types that the Administrator has certificated for civil operations. Passed an official U.S. military pilot check and instrument proficiency check in that type of aircraft as pilot in command during the 12 calendar months before the month of application. An official identification card issued to the pilot by an armed force may be used to demonstrate membership in the armed forces. An original or a copy of a certificate of discharge or release may be used to demonstrate discharge or release from an armed force or former membership in an armed force. An official order showing that the rated military pilot graduated from a U.S. military pilot school and received a rating as a military pilot. A certified U.S. Armed Force logbook or an appropriate official U.S. Armed Force form or summary may be used to demonstrate flight time in military aircraft as a member of a U.S. Armed Force. An official U.S. Armed Force record of a military checkout as pilot in command may be used to demonstrate pilot in command status. A current instrument grade slip that is issued by a U.S. Armed Force, or an official record of satisfactory accomplishment of an instrument proficiency check during the 12 calendar months preceding the month of the application may be used to demonstrate instrument pilot qualification. Let us give you a little background on what we know about the relatively new MCI test. The following is based on a few in-depth conversations/meetings with the people at the FAA directly responsible for the test - they provided us with general guidance but, as is the FAA custom, did not actually tell us which specific questions were to be in the test. We believe that our work on making an MCI test prep is far more than any other company has done, and as such we are in the best position to provide a credible product for you. The FAA's basic philosophy in this matter is that as military flight instructors, you already know (and have been tested on) the mechanics of aviation. What you don't have, however, is a background in certain FAA ways of doing things - this stretches from paperwork through instruction-related theory to instruction related regulations. Therefore, the direction that we have is that the tests will focus on these things and absolutely NOT on things such as aerodynamics, chart interpretation, performance, weather, and the like. Therefore, we have created our software having picked those questions from the FAA FLIGHT/GROUND instructor, FAA INSTRUMENT flight instructor, FAA Commercial Pilot, and FAA Private Pilot banks that meet this criterion. We've tried to be prudent and conservative in that we've included what we feel are a few marginal cases that nevertheless might be asked, but still the total number of questions in our prep is far less than the totality of the CFI/CFII banks combined, this allowing the potential candidate to focus his/her study. So far, based on the feedback that we've gotten from our users, it appears that we're right on the mark with our approach as no user so far has reported a score of less than 90% (the pass mark is 70%) and a few have reported 100%s. However, as this is a new test and things might change, we've also made it that anybody who buys and gets access to the MCI prep will also have access to all of the tests in our Flight/Ground Instructor software. This includes the Fundamentals of Instruction (FOI). You are welcome to study from these tests at no additional cost if you feel that you could do with a broader review of the overall material or would simply feel more comfortable studying with a larger set of questions. We hope you can find our approach in this to be prudent. We're doing our best to provide the best MCI given the information on hand for this new test. What do I do after I take the MCI test to actually receive the FAA certificate? The general procedure is: after you pass the MCI test, take your paperwork to a DPE (Designated Pilot Examiner) or FAA FSDO. You will be issued with flight instructor certificates commensurate with any military instructor certificates you hold. For example, if you are a multi-engine airplane instructor, you will get multi-engine airplane instructor privileges. If you represent a large group of military pilots, our resident DPE, himself a former military aviator, may be willing to fly out to your location and process all of your paperwork for you at what might work out to be a low per-person cost. Generally, you will need about 30 pilots minimum to make this feasible for all involved. Please contact us via our helpdesk if you are interested in such an arrangement. Do I need to take the MCA/MCH test also if I want to be a civilian flight instructor? We have yet to get a definitive answer on this. However, to us it seems logical that you will need to take this too to get your civilian commercial pilot certificate in most cases. So, if you have no pilot certificates or ratings, consider taking both the (MCA or MCH) test and the MCI test (only people who have both helicopter and fixed wing experience in the military would potentially need to take both the MCH and MCA - check with the nearest FAA FSDO for guidance if you fall into this category). I am a complex case - do I need to take the test? Some people have complex backgrounds or certification histories and wonder if they need to take the test and what applies to them. 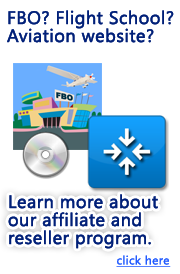 If your case is complex, don't ask us - rather, ask the FAA via your local FAA FSDO. That's what the FAA FSDO is there for! When you call the FSDO, make a note of the name of the inspector you speak to and the time of your call - this way you will have a record for the future. Think about it - while we do make some great test preparation materials, do you really want to be asking a private company for quasi-legal advice such at this when official straight-from-the-horse's mouth advice is just a phone call away? Unfortunately, too often people write to us with multi-page complex tales of their flight experience asking for advice and all that we can reasonably do is direct such people to their FAA FSDO. Thank you for your understanding. I am a military pilot but not a military flight instructor. What can I do do get an FAA civilian flight instructor certificate? Take the MCA or MCH test as necessary. Then, follow the normal civilian route to becoming an FAA flight instructor. That is, take both the Fundamentals of Instruction written test, a Flight Instructor test corresponding to the aircraft you fly (usually FIA or FIH - flight instructor airplane or helicopter) and then take a practical test (checkride) which can be scheduled with an FAA pilot examiner. If you are not (have not served as) a military flight instructor then there is no point in you taking the MCI - that route is closed to you. Again, please contact your local FAA FSDO if you have questions relating to your specific case. How does your product compare with others? A competitor of ours, hoping that you won't actually do your homework to verify what they say, encourages you to compare their product to ours. Ok, let's compare! Reasonably priced (see the order page for the current price) and less expensive still if purchased together with the MCA/MCH prep. Ours costs substantially less for a substantially better product, which is why they try to confuse you with so much irrelevant nonsense. A LOT more expensive. At the time of this writing, the cost for their MCI prep was about three times the price of ours. Not limited (within reason), as long as it's for your own personal use. Got a desktop, laptop, and work PC? No problem - you can install it on all of them. All that we ask is for your honesty - if you have a friend or colleague that could benefit from the software, you may not share the software with them (so it's a single user license). Strictly limited to ONE PC only. Also a single-user license. GroundSchool features detailed, often fully illustrated explanations that don't just teach you the material, but also contain memory aids, anecdotes, and more. Our concern is that you both pass the test and learn the material in a meaningful way. Our explanations have been written and maintained since 1997 by an editorial team led by an FAA Designated Pilot Examiner who is also a former military pilot. We pride ourselves of having the best explanations of any FAA knowledge test preparation products out there, period. As a general sort of benchmark, consider that our FAA knowledge test prep materials themselves (taken as a whole at the time of this writing) contain over 4000 custom illustrations to help illustrate key points and to facilitate learning--this is certainly far more than any competitor; book, software, or otherwise. From their demo, we gather that where there are explanations, they are short, rote, and not illustrated. We can't comment on their full product, however. Our software and apps have more learning and study modes than any other product out there and is renowned for its ease of use, well thought out interface, and useful supplementary features including smart analysis and classification of 'difficult' questions, easy access to charts and figures, a built in library of key aviation documents, and so forth. Theirs? Well, tell you what - try our demo above and try theirs - we encourage you to try both to compare! No, we do not subsidize the rare lazy student from the fair fees paid to us by hard working and conscientious students. While as of this writing we have never had any reports of anybody failing their MCI test after using our prep (in fact, our feedback has been universally positive), we have this policy for all of our FAA products because we feel that such passing guarantees are useless gimmicks [see the FAQ on this page to learn more about why we think this.] A portion of the much too expensive amount that you pay to access their test prep will go to paying off the occasional person who decided to do a half-assed job studying and fails the test - sometimes sold as some sort of 'guarantee.' Don't you feel better? We offer a helpdesk that answers over 97% of user questions automatically and quickly through a series of FAQs, guides, wizards, and automated help. The automated features of this helpdesk are available 24/7 and represent the combined knowledge of dozens of aviation and technical professionals who otherwise would not be aviation and technical professionals if their job consisted of sitting waiting for the phone to ring. For help with unlocking the software, this includes an unlock help wizard that has essentially automatically helped anybody and everybody that has had problems with the unlock process and offers far better and FASTER help than even a telephone-based system could (since the wizard shows you in illustrations what to do). In practice, because our unlocking system is so straightforward and is for most people a one-time thing (see next question), few people have any real issues with it. If your query is such that you need a real person to respond, we're happy to hear from you. Most questions that can not be handled by the automated system are responded to within a few hours during normal business hours. A portion of the fees you pay goes to having somebody sit by the phone in the middle of the night to answer the sort of questions regarding accessing your software that our unlock help wizard answers automatically anyway. If your question is more technical or involved, you will of course have to wait until normal business hours - or at least, that was our experience when we called them as a test. Almost always a one-time process (per PC). So, you can activate the software once on your laptop and then take it with you on your next airline flight, to the hotel, back home, etc. In other words, it's a 'set it and forget it' arrangement. As far as we can tell, their scheme requires internet-based license check every time you start up their software. Hope you didn't plan on studying when you're travelling! Includes other FAA Instructor tests? Yes! 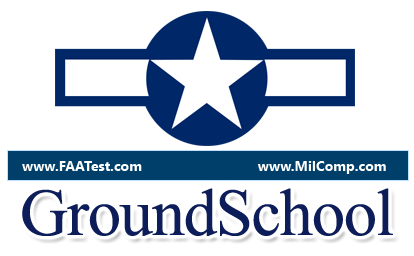 When you purchase our MCI test prep, you actually get access to all of the tests in our GroundSchool - Flight and Ground Instructor test prep. This includes:Fundamentals of Instruction (FOI) and all the flight and ground instructor knowledge tests in that group (please see the GroundSchool - Flight and Ground Instructor web page for a full list) . This is perfect for if you ever plan on getting another instructor certificate or rating or if you wish to look up something later on as your instructor career progresses. To access this, just recognize that the code that you use to activate the MCI software will also activate the Flight and Ground Instructor test bank in the software. Nope. How many questions are in your MCI prep? You might be asking this because you were told to "ask them" on a competitor's website. Actually, have a look at their question--it is "how many questions do I need to memorize?" What a strange way of phrasing it! While our software certainly supports rote memorization of the answers if that's really the way you want to go about it (and sure, our software can be set up as a highly efficient memorization tool), we think that they phrase this question in terms of "memorization" instead of "how many questions do I need to learn" says a lot about their shortsighted approach to the MCI test. So - how many questions will our software teach you (either to memorize or by teaching you well through our superior explanations and associated learning material?) A few hundred - it changes as feedback comes in and the tests themselves change. A low-rent and low-credibility would be "competitor" of ours is aggressively pushing an MCI prep in certain military circles (which at the time of this writing is considerably more expensive than ours) with a number of dubious insinuations. The reality is that this number changes regularly; in fact, at the time of this writing there was just a medium sized update from the FAA though the number they have posted on their website didn't change. Since we think this is a false game to begin with, we're not going to get into number A vs number B, since this is a false game (if we had less, they've be accusing us of somehow short changing users, we gather). The reality is that people who use our prep end up generally passing with very high scores AND learning the material well. This is what matters. Put it another way, do you really think that the primary determinant of your success on the test and in your future career as a knowledgeable flight instructor is studying a few dozen fewer less questions? Update - Feedback from our users fully validates our approach! As of this writing, all users that we've so far heard from have reported scores of over 90%. Superb! Remember that the pass mark is 70%. In other words, our system and approach WORK. Will you guarantee that I will pass the test? No. As implied above, we provide a best effort service based on the best information that we have. We have sold many thousands of FAA test preps every year based on this principle. We do not provide passing guarantees as they tend to be expensive to administer gimmicks that end up doing little more than subsidizing lazy students from the fees of the majority of good ones. That said, because this is a new test, we are offering a special: any MCI code that is obtained will also unlock our complete FAA Flight and Ground Instructor test bank. Feeling nervous or feel that you need a brush up? Study a wider bank at no additional cost. We think that this is a reasonable way to go (note: now that we have feedback on the MCI test and it appears that our approach is the correct one given that people are doing very well on the actual test after studying only our MCI prep, it should not be necessary for anybody to need to study the rest of the flight instructor bank, though the option is there). I need a little brush up. Our RideReady checkride oral exam prep software can be a good brush up for instructors looking to enter the civilian world. It's written more conversationally than the somewhat formal FAA knowledge test questions and will help those of you used to 50000 pounds of thrust start thinking in terms of 150 horsepower engines and other civilian things again. One thing that we've noticed is that when airline pilots go back to civilian instructing, they sometimes assume, to their peril, that smaller=easier. In fact actually it's just a different set of challenges. This might be good to remember when you make your transition to the civilian world too. For example, teaching an IFR student in IMC in a modestly powered single-engine aircraft at night and in turbulence presents challenges that are not to be underestimated. RideReady is available for both airplane and helicopter (and glider, and balloon) and has helped thousands of pilots to checkride success. Will my civilian flight instructor certificate expire? Yes. The duration of the civilian pilot certificate is 24 calendar months. However, it can be renewed before it expires. You can find out how by actually studying for the MCI test, as this is one of the topics covered! "Will Your MCI prep prepare me for the CFI and CFII tests?" This is the exact question asked of us by a military pilot the other day. The answer is a bit long because it's necessary to clarify the terminology a bit and to lay clear exactly what is meant by this. If you have military flight instructor experience that includes instrument instructor experience (let's assume we're talking airplanes here, though this applies equivalently to helicopters for the time being), the FAA will normally grant you both "CFI-Airplane [Single and/or Multi Engine Land] " and "CFI-Instrument Airplane" privileges after you have completed the MCI knowledge test that our MCI test prep software prepares you for. So, in that sense, yes, absolutely - we prepare you for getting both your "CFI" and your "CFII" if your military experience warrants it (please check with your local FSDO if you are unsure whether your military experience qualifies as they can best give you a definitive 'bankable' answer). The IFI - Instrument Flight Instructor written test prep (what the question loosely calls CFII) is in the IFR bank. if you are converting from your military experience, you probably don't need to take the IFI test. if you do want to take it, you can purchase the IFR group - the price is very reasonable - our software works out to be far less expensive than any of our competitors' and we do provide better stuff. That also said, just to be clear - there are in the MCI test prep itself a few instrument-type questions as directed by the FAA for the MCI test, though not enough to prepare you for the 'full' IFI test if you wanted to take that. Thank you again for considering our software - if there's further questions, please let us know. No problem! Please contact us via our helpdesk. Thanks for checking out the software! Good luck on your test, and blue skies!